The price is set up at the amount of 48800 Euro. 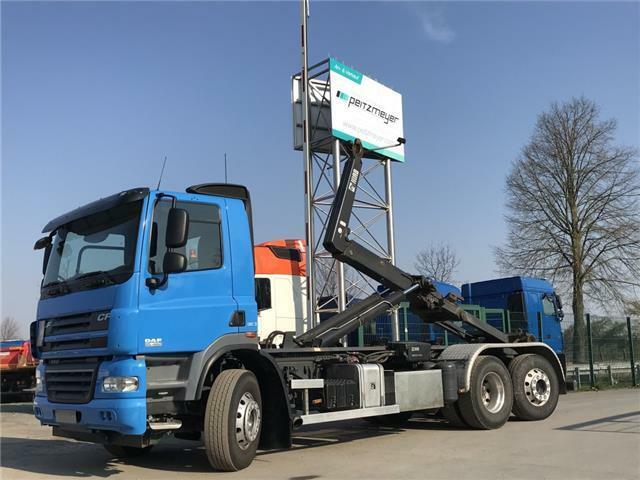 All the offers in the stock of DAF CF 85 hook lift truck are up-to-date as well as in good shape. Engine details/gearing and fuel type: Euro 5, diesel, 462 hp, differential lock, gearbox: automatic, engine brake. Wheel formula and suspension type: suspension: spring, wheel base: 4500 mm, ABS, tires: 315/80 R 22,5, trailer coupling. Body dimensions and options: loading length: 7000 mm.